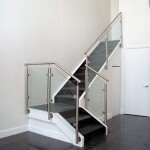 There are many different design elements available when creating custom glass railings. 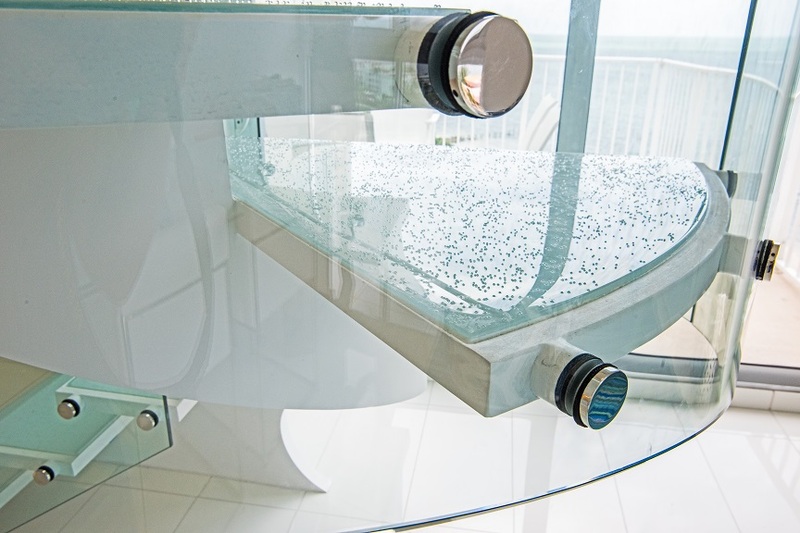 You can create the vision you desire by focusing on these details in your design. 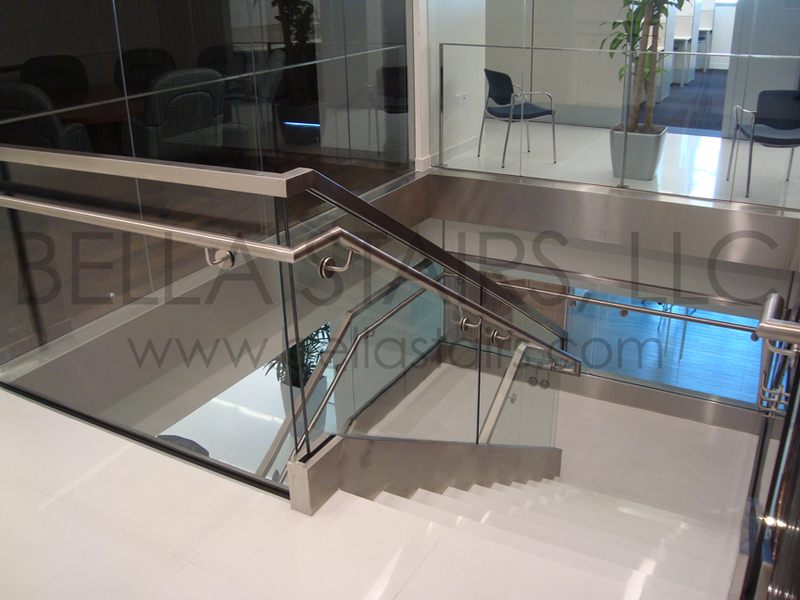 Glass panel railings can be installed in a variety of methods from inlay, standoff, to Baseshoe anchors. 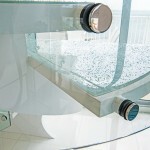 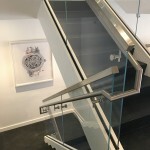 Inlay glass railings are anchored with glass clamps. 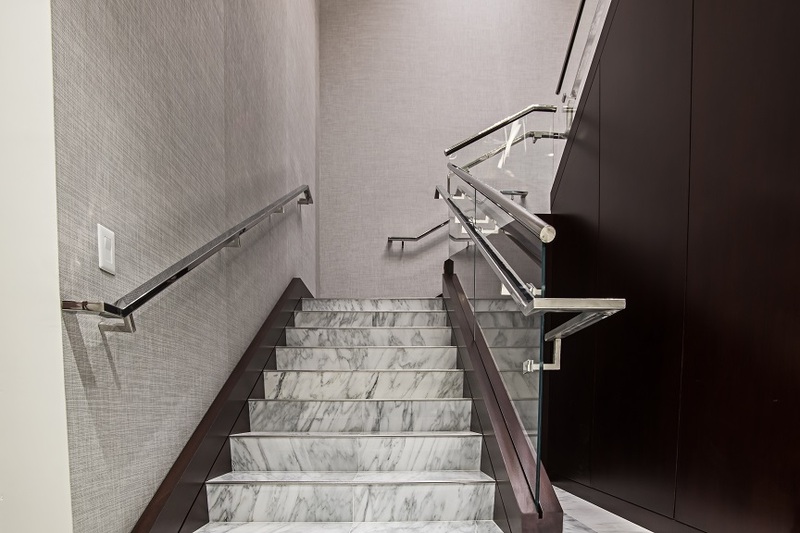 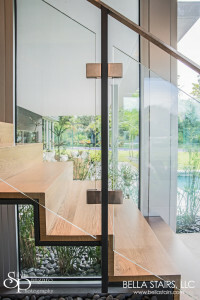 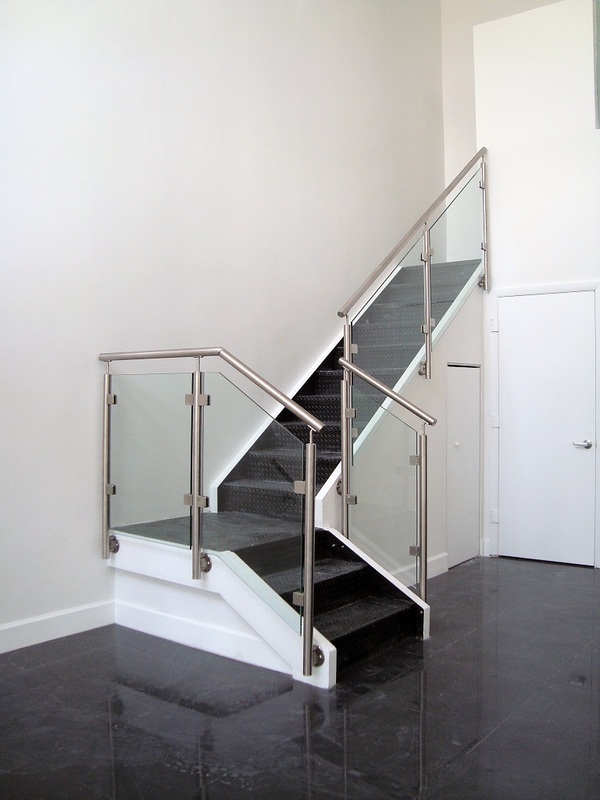 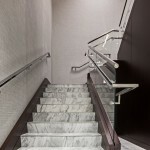 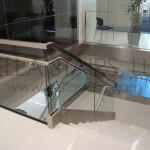 Glass clamps can be anchored to steel posts, or directly onto the staircase. 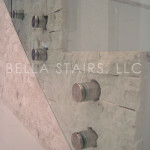 They are available in a variety of custom styles and finishes. 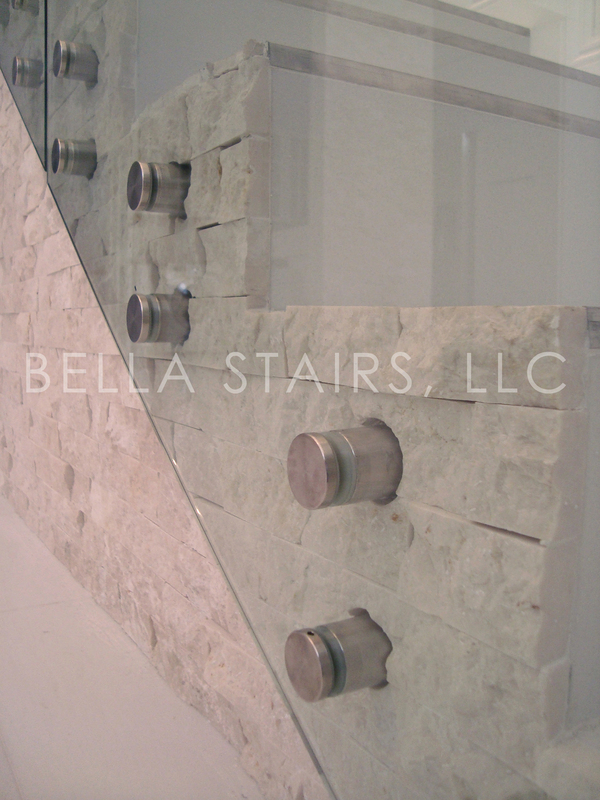 Standoff anchors for glass railings come in a variety of styles and sizes in diameter. 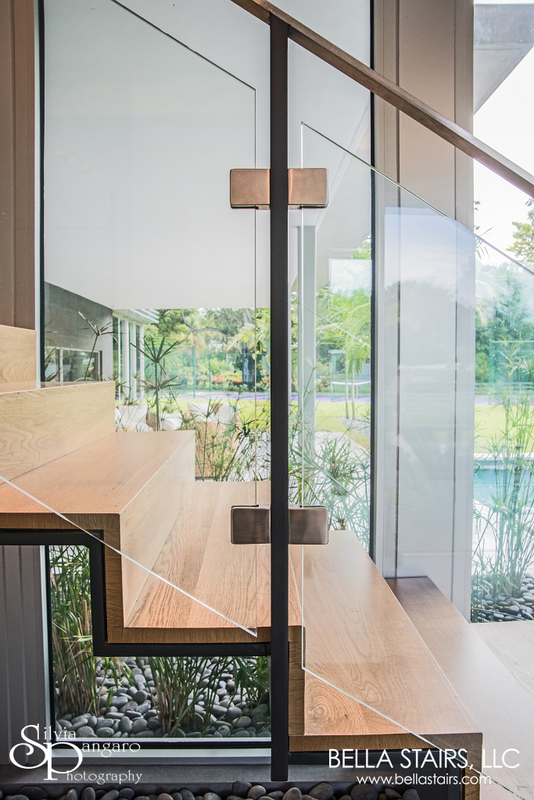 Standoff’s can be anchored directly to the wood treads, drywall, or hidden behind drywall. 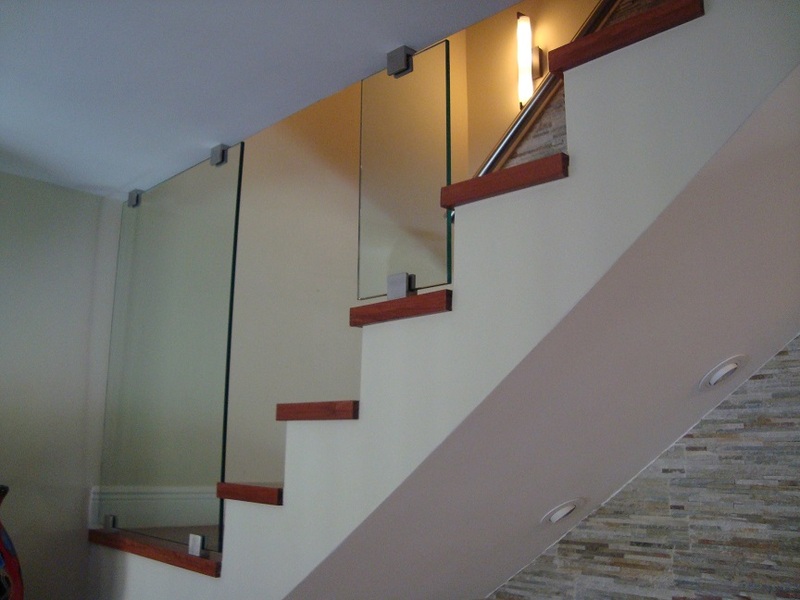 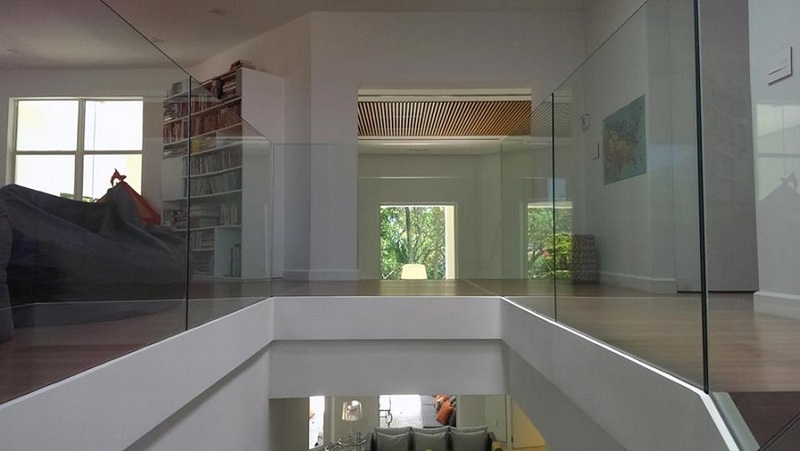 When installing glass panel railings with an aluminum baseshoe system, it is typically covered with drywall, stainless steel cladding, or wood cladding. 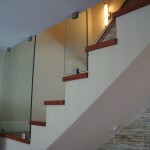 The finished of these elements can be customized to your taste and style. 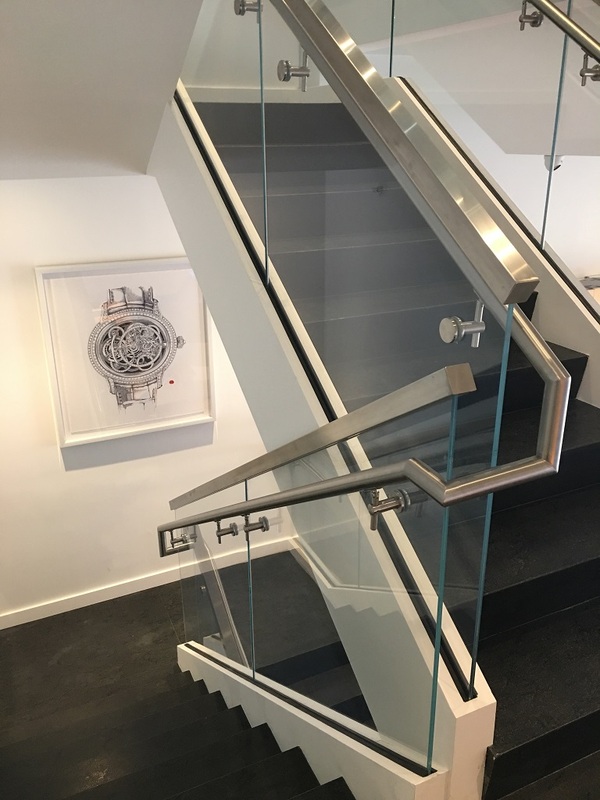 Creating your own custom railing design can be achieved by taking the time in choosing the right design details for your space.